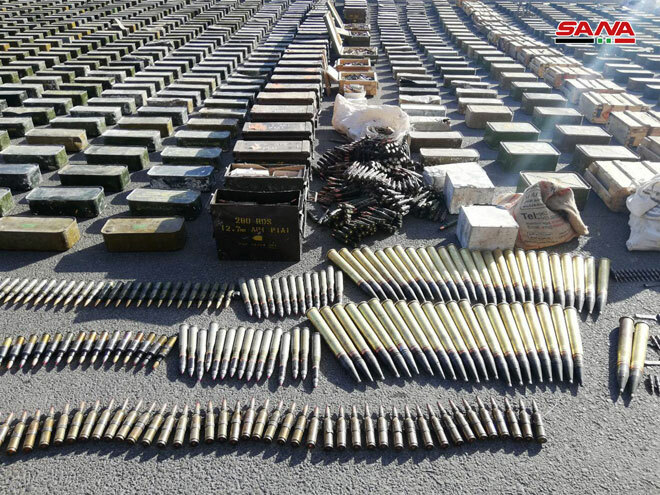 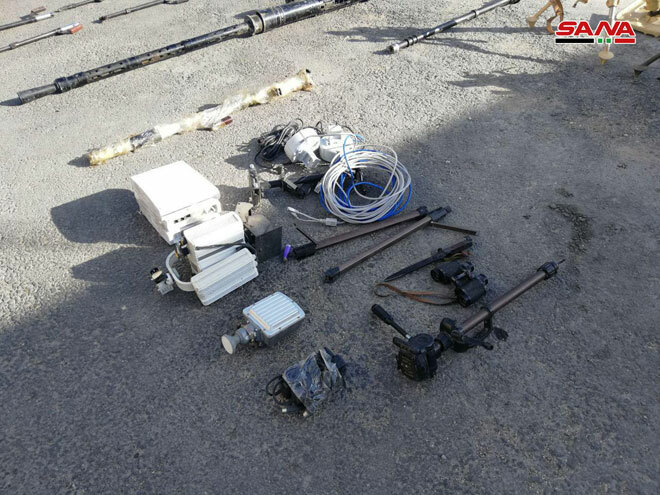 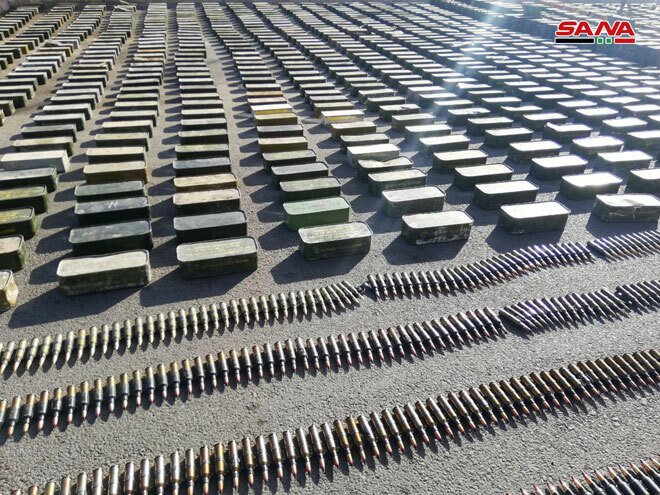 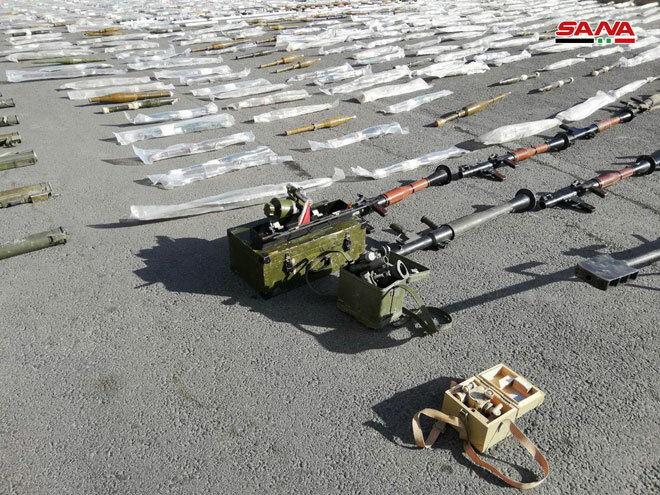 Damascus Countryside, SANA- Authorities on Wednesday discovered large amounts of weapons and ammo left behind terrorists, including mortar launchers, LAW missiles, Western – made sniper rifles in Damascus countryside. 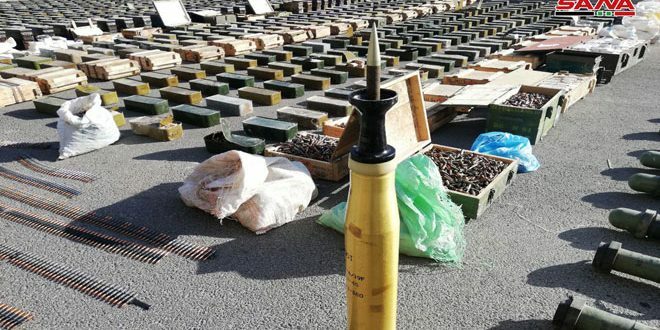 Speaking to SANA’s reporter, a source from the authorities said that while combing operations in the areas which had been liberated by the Syrian Arab Army , the authorities found large amounts of weapons and various munitions from the terrorists’ remnants in Damascus countryside and its surrounding. 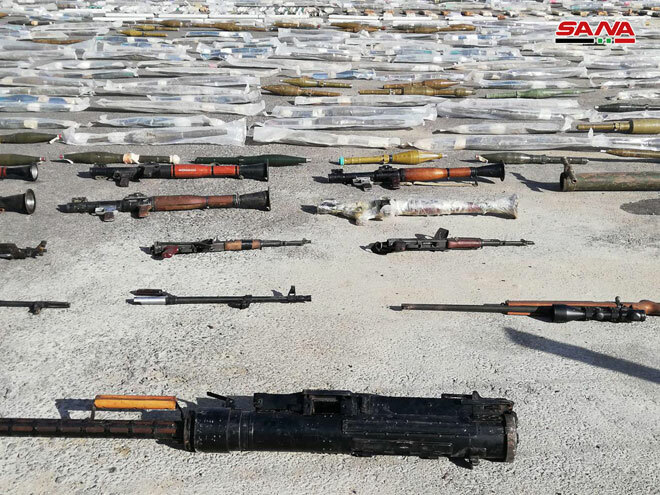 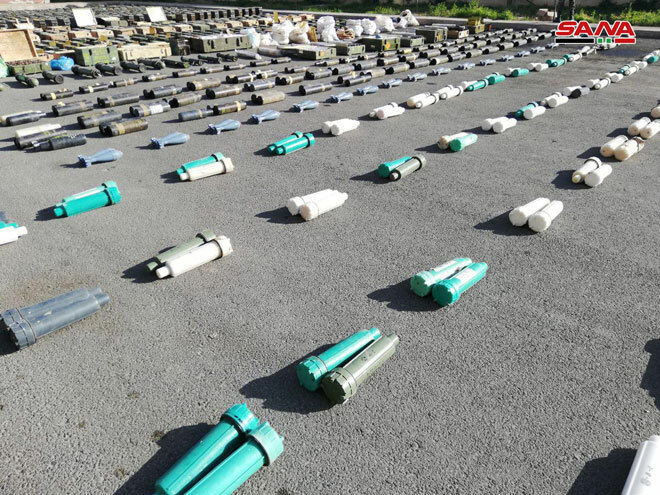 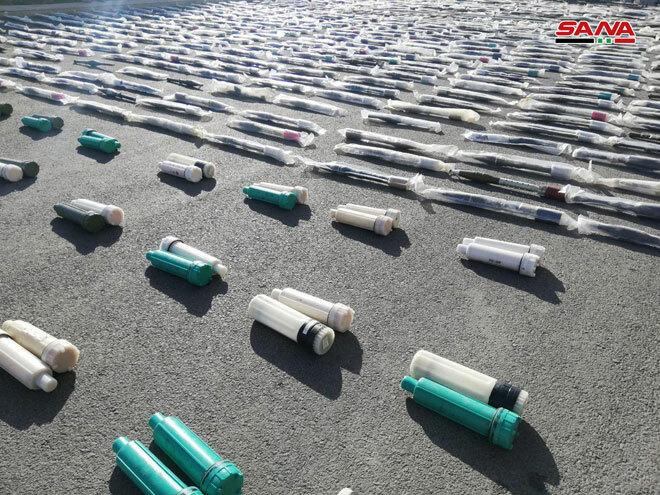 The seized weapons included various types of RPGs, anti-tank missiles , including 14 LAW missiles, Western –made sniper rifles and more than 2,000,00 rounds of machineguns and rifles, in addition to a satellite transmitter and a number of machinegun binoculars.